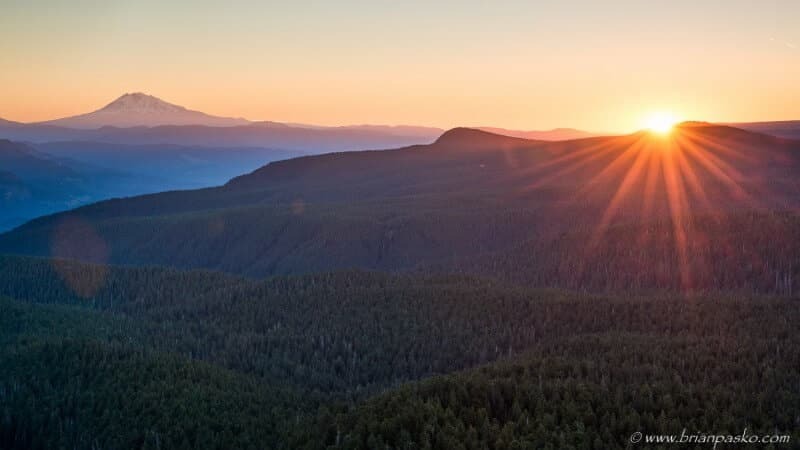 Larch Mountain is a special place in the Columbia River Gorge, especially at sunrise. At the top of this now extinct volcano amidst a forest of firs below are stunning views of the younger volcanoes that surround the summit; Mount Adams, Mount St. Helens, Mount Rainier, Mount Hood, and Mount Jefferson are all visible from Larch Mountain’s Sherrard Point. You can reach the top by climbing a 7 mile trail that starts at the base of Multnomah Falls. Or, you can do what I did and take the easy route: a 16 mile drive up Larch Mountain Road just east of Corbett, Oregon. I drove up late at night hoping to catch a glimpse of northern lights and capture the stars over the surrounding peaks. 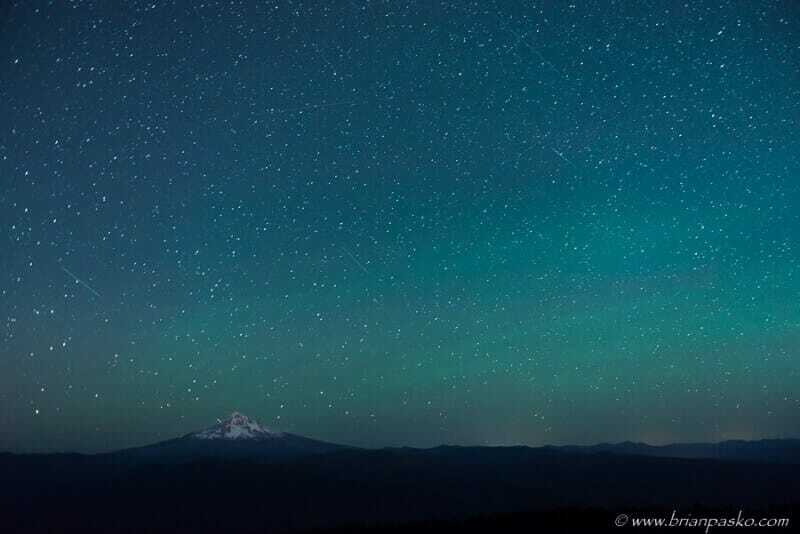 An abundance of light pollution from nearby Portland kept the night skies a bit subdued, but it was dark enough to catch some shooting stars and see a glimpse of the milky way galaxy. 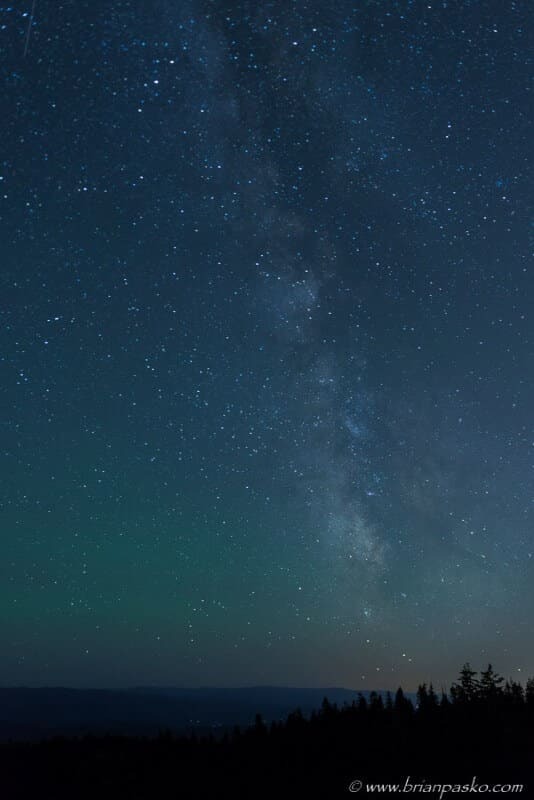 Overall, it was a beautiful night spent under the stars and all was made worthwhile when the sun tipped the horizon just to the east of Mount Adams.